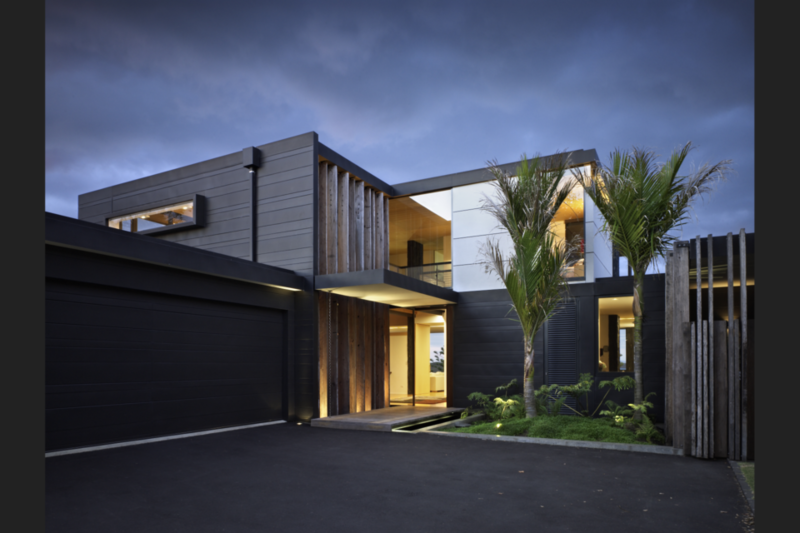 This house was designed whilst working at Bossley Architects, to cater for the busy lifestyle of the owners and the constant comings and goings of their extended family and friends. 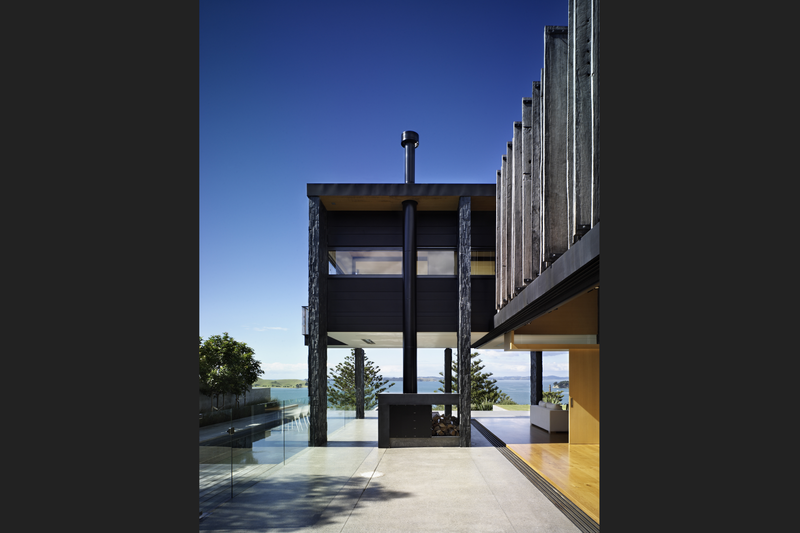 Also to take advantage of the site and its amazing views of Karaka Bay, Browns Island and Musick Point. 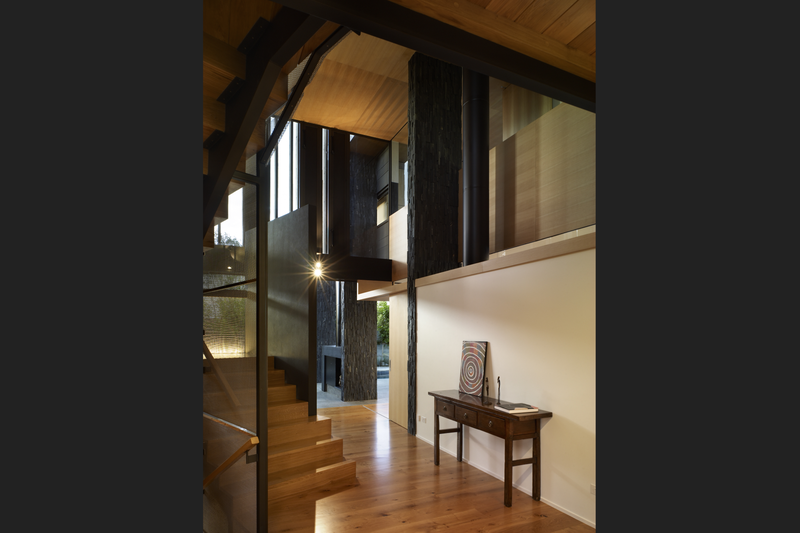 At the heart of this project is a central atrium space which is your arrival point into the house. 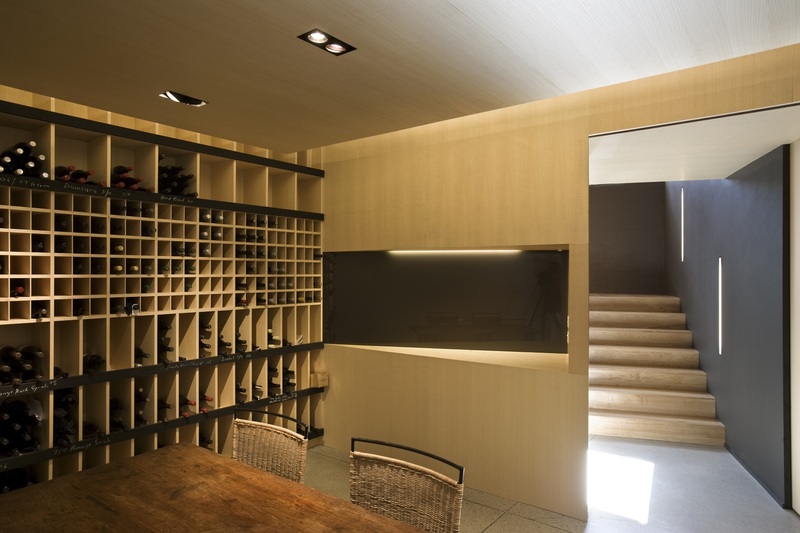 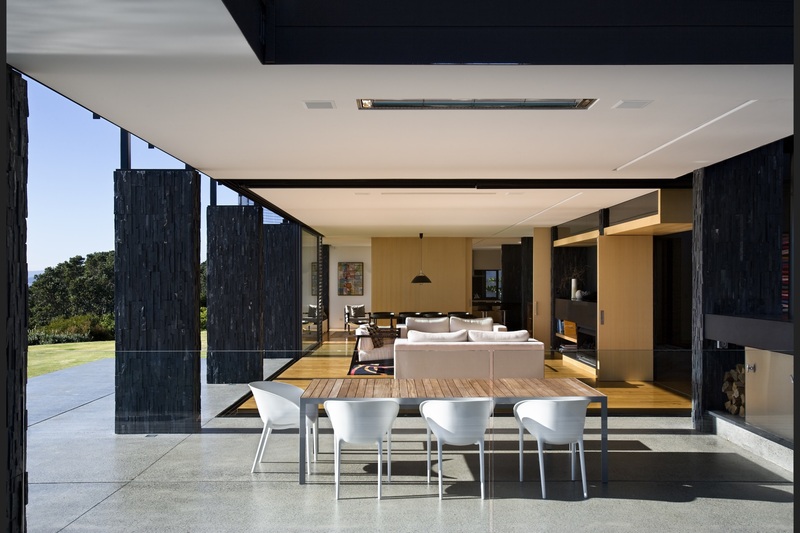 The scale and flexibility of this space allow for it to extend the living spaces of the house for large gatherings or it can be closed down if just the clients are at home. 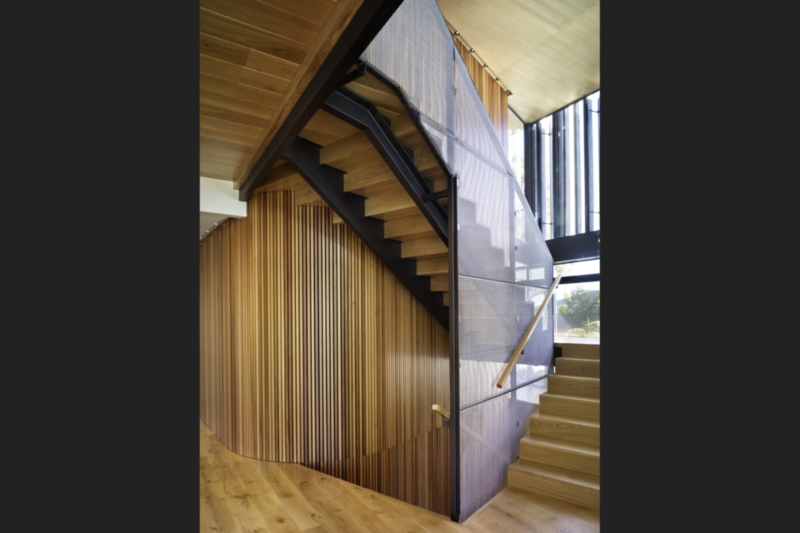 It also connects the three levels of house vertically highlighted by a curved wall of finely detailed cedar battens adjacent to the French Oak and steel staircase. 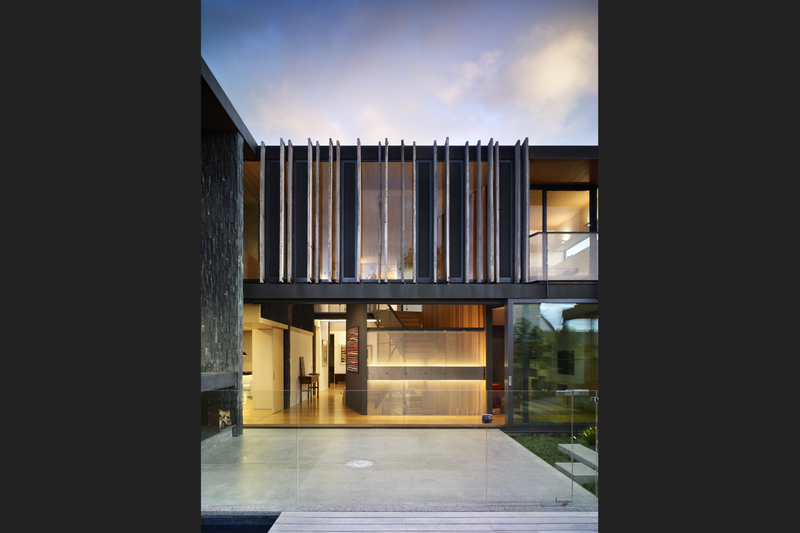 The atrium is also the climate control for the house. 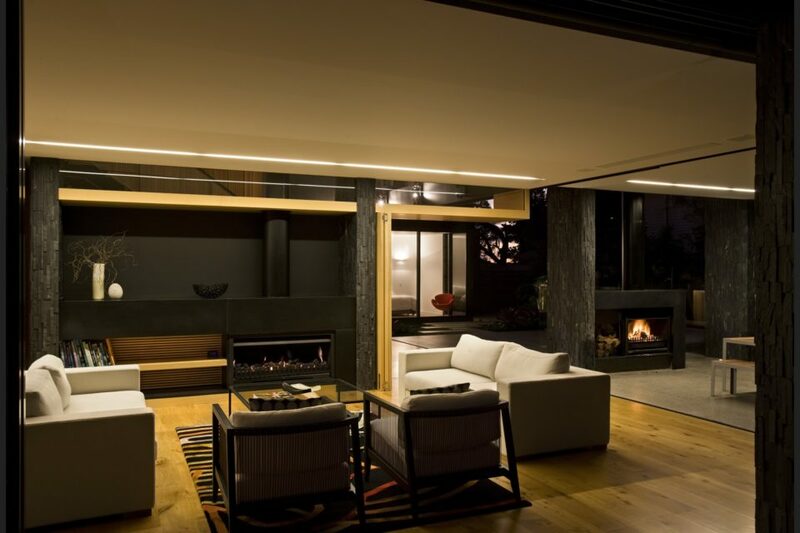 Large opening panels of anthrazinc at the upper level are connected to sensors: they automatically open when the space reaches a certain temperature to ventilate the atrium and the spaces beyond. 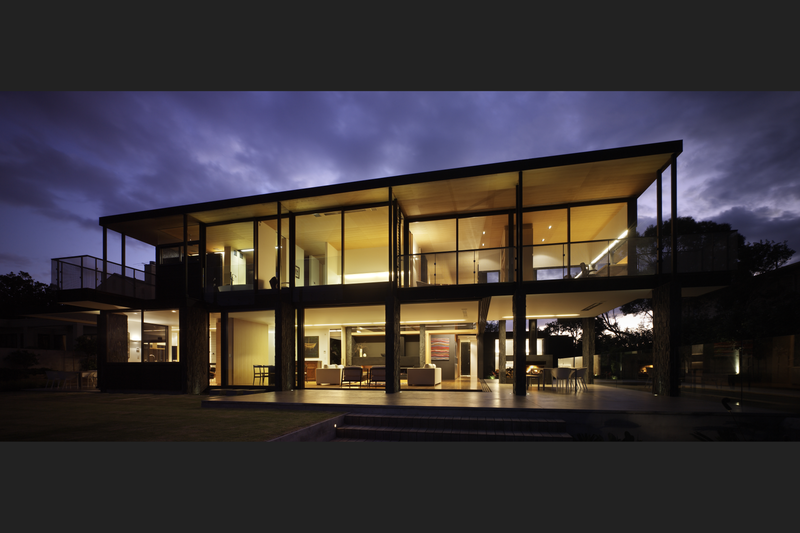 These also close automatically if the temperature drops or it starts to rain. 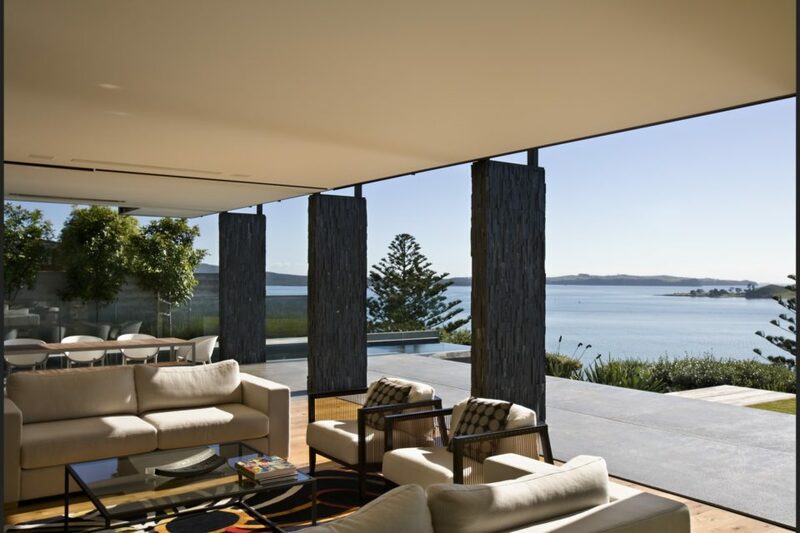 Large sliding doors in the lounge, dining and atrium space slide right back to open the entire corner of the house and connect the interior spaces to the pool area to the north and to the view on the seaward side of the house. 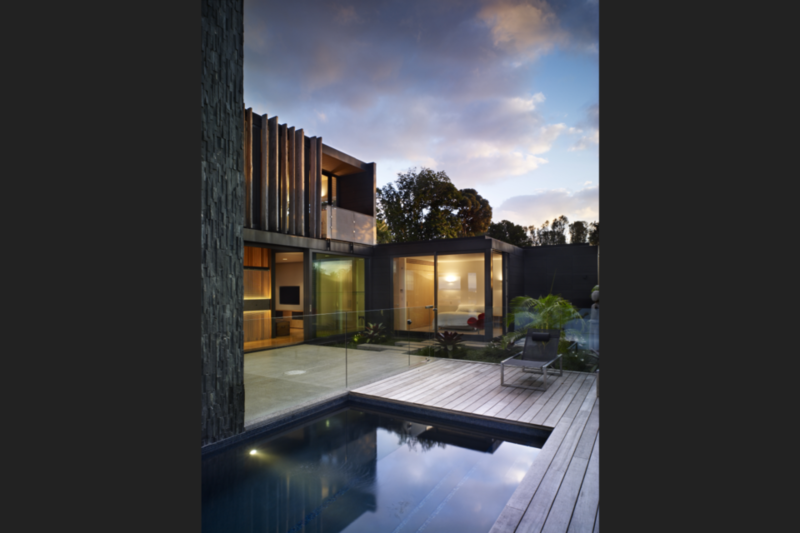 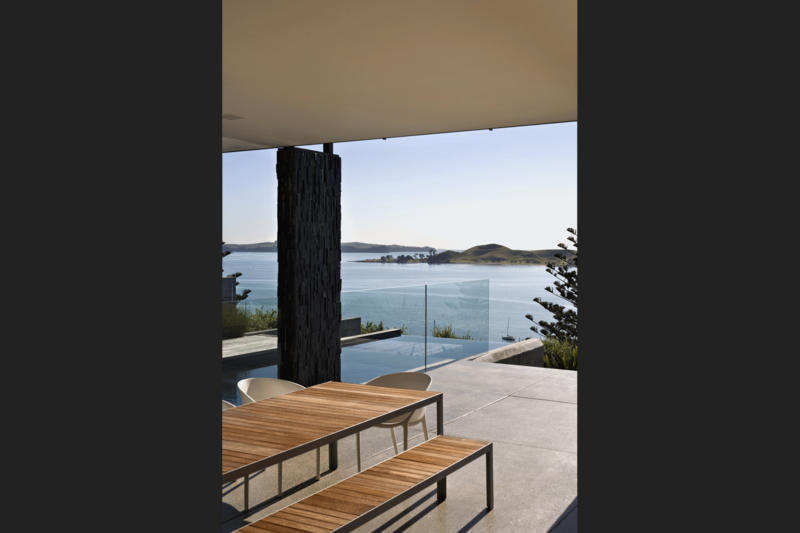 Robust materials that have texture and warmth were selected – anthrazinc cladding, basalt ashlar stone, cedar battens, recycled ironbark sunshades, French Oak flooring, plywood ceilings and cabinetry, honed concrete terraces. 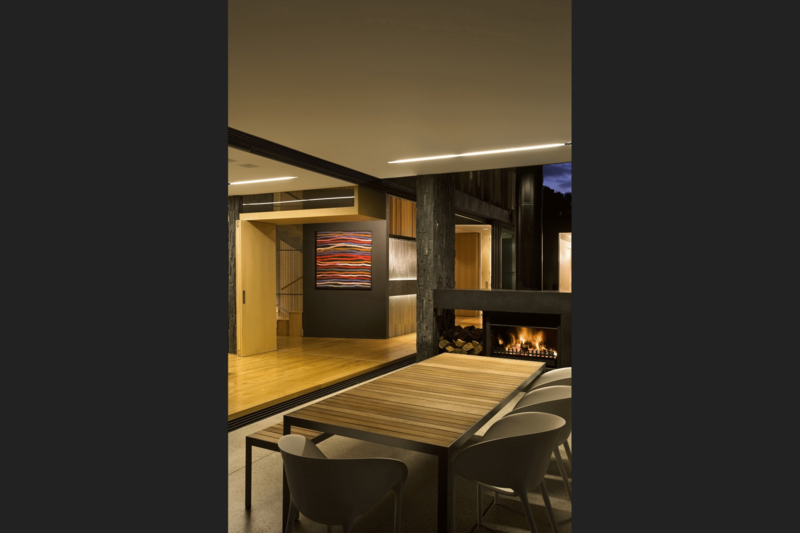 Because of the richness and colour of the materials the colour scheme of the house was kept subdued to let those materials resonate and be animated by the carefully modulated natural light.